Good charter school policy must be part of the solution to address our public education system’s greatest problem: too many children lack access to a transformative education. Getting authorizing policy right is critical because good authorizing has the power to transform the lives of not just a few children, but millions. When done well, authorizing is a catalyst for charter school quality and growth. Unfortunately, the quality of charter laws and authorizing institutions varies across the country, leading to uneven charter school availability and quality. With the presence of multiple authorizers comes the need for accountability that ensures all authorizers are prepared for the requirements of the job and doing right by children and taxpayers. NACSA’s policy resources provide information that helps stakeholders understand common authorizing issues and increase the number of high-quality schools available to their students. Authorizers should be held accountable. This should be both front-end accountability, ensuring authorizers are aware of and prepared for the requirements of the job, as well as back-end accountability, ensuring authorizers are doing their job well. There should be strong consequences for bad authorizing. State oversight should include consequences for low-performing authorizers, such as freezing their ability to authorize new schools, removing schools from their authority, or terminating their authorizing authority altogether. Removing low-performing authorizers is only an option when there is a quality alternative. When a jurisdiction’s applicants and schools have access to only one authorizer, removing that authorizer is not an acceptable option. 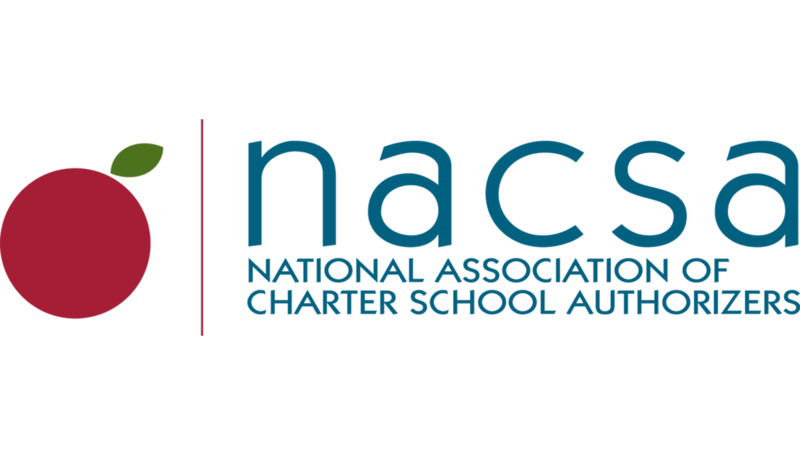 NACSA believes you can’t be a good authorizer of bad schools. In addition to holding schools accountable for individual results, authorizers should be held responsible for the performance of their portfolios of schools. To ensure that authorizer practices support the creation of quality schools, authorizers must also be held to high standards. State policy should endorse professional standards for quality charter school authorizing. A state entity should evaluate authorizers on their practices as well as the performance of their school portfolio. New authorizers should apply, or at least register, in order to authorize. A state entity should enforce consequences for authorizers with bad practices or those with a high proportion of persistently failing schools. By endorsing authorizer standards in legislation, policymakers guide professional practice. This depoliticizes authorizing and oversight, protecting authorizers, schools, and ultimately, students and families. Once the standards are in legislation, authorizers and other leaders can further refine practice. For new or less-experienced authorizers, standards offer an essential road map to develop strong practices and identify areas where additional assistance is needed. For experienced authorizers, standards help identify areas for improvement or refinement to achieve stronger outcomes, as demonstrated by the quality of schools they oversee. Authorizer standards also ensure that charter school leaders know what to expect—from applications to performance contracting—and have recourse if authorizers are not doing their jobs. Students, parents, and the public benefit from high-quality, transparent, and effective practices. Both schools and authorizers are held accountable for results. In states with multiple authorizers, a state entity should conduct an evaluation of authorizers once they are actively authorizing. Some states may opt to have an annual evaluation process, while others will choose a different timeline with regularly scheduled evaluations. Any evaluation must stem from an authorizer accountability system. Authorizers should know what is expected of them. The system should be created with input from a variety of stakeholders, including authorizers themselves; should align with best practices for authorizing; and should be clear on timelines and process. Authorizer success is defined by the overall quality of their portfolio. Thus, any authorizer evaluation should include an evaluation of academic, operational, and financial charter school performance. Authorizers should submit an annual report to the state as well as have it publicly available, reporting on the performance of every school in its portfolio. This can inform the authorizer evaluation, as well as provide transparent information to the public on the performance of the sector. A draft of the performance framework to be used for oversight. These reasonable barriers for entry into authorizing help stop authorizers who are interested for the wrong reasons and may not have a commitment to quality. It also ensures that authorizers are aware of the commitments and expectations before they begin. These barriers can also limit the number of authorizers, which helps prevent an over-abundance of authorizers and their negative impact on charter school quality. Authorizers with a history of bad practices or a low-performing portfolio should be subject to sanctions. Sanctions should be spelled out in law and can vary, including removal of authorizer authority, inability to authorize new schools, and transfer of schools to other authorizers. Unfortunately, authorizer sanctions are not a viable option in states without multiple authorizers, since that could result in the complete elimination of the charter school sector in that jurisdiction. This is one reason why NACSA recommends the presence of multiple authorizers (learn more here). Transparency to the public on the authorizer’s practices, as well as the performance of the schools in their portfolio, become important levers instead. Additionally, improvement plans for these authorizers can help them continue to authorize while improving their practices and/or school quality. Authorizer sanctions help ensure that the quality of authorizing in a state is not a held back by one or two bad authorizers. There are almost 1,000 authorizers currently overseeing charter schools serving 3 million students across the country. The accountability of these authorizers should be a top priority in education policy. By restricting which authorizers receive the privilege to authorize and by requiring adherence to quality standards, states can help set up authorizers for success from the very beginning. Authorizer evaluations and, when needed, sanctions, can stop bad authorizing and improve the quality of the charter schools serving children in that state.